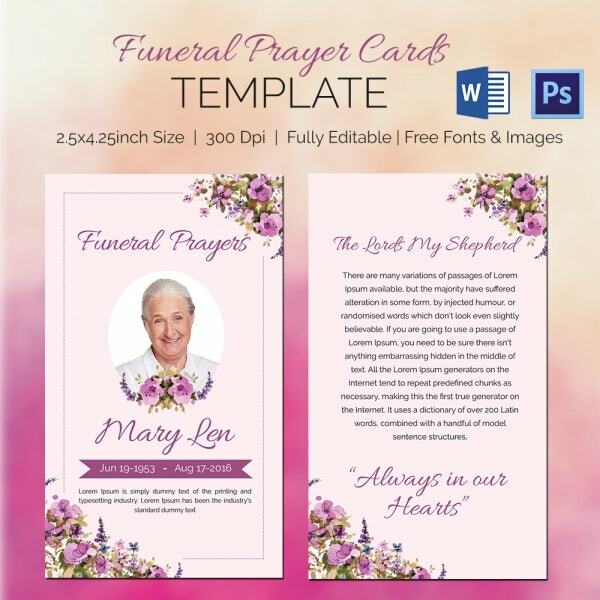 A funeral prayer card is an important piece of template sent out by the family of the deceased to friends, colleagues, and extended family members. Those who believe in the power of prayers and put more value on understanding communication with God, know that it is possible to find comfort in prayers. 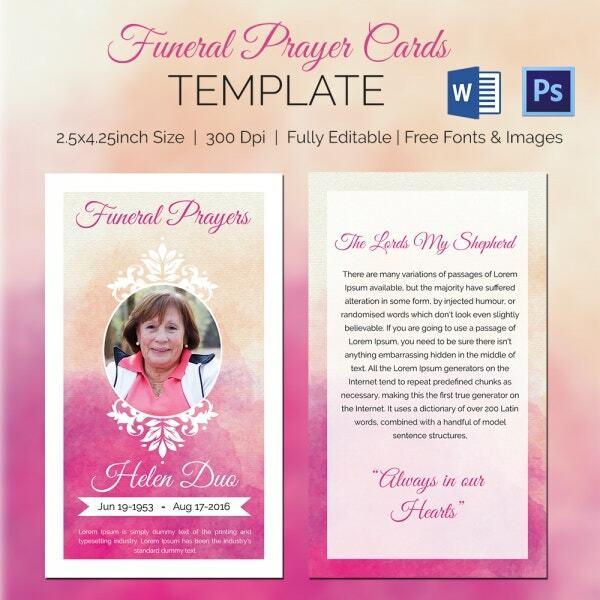 To send a lot of funeral invitation templates to friends, colleagues, family friends and others, you should consider using any of the follhigh-qualityuality Funeral Prayer Card templates. If you would like to request prayers from friends and extended family members after the death of a loved one, use this template. The template is editable in Adobe Photoshop and is easy to customize. Prayer is the only thing that can comfort you when someone you love dies. 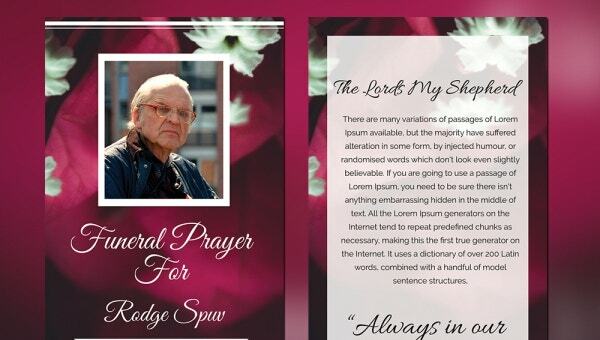 You can request for prayers from families and friends by writing your request on a prayer card. When someone dies, the best we can do is to pray that he or she rests in eternal peace. 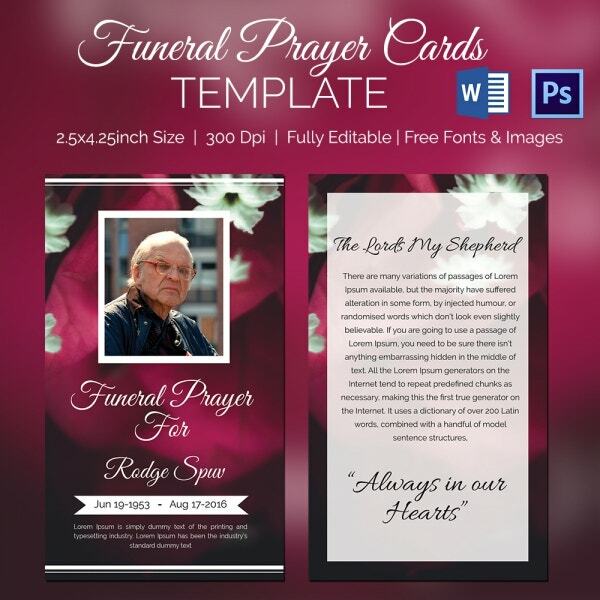 However, you need to request for prayers from friends and families, and this funeral program template can help you do so. It is a great thing to request prayers from friends, colleagues and family members when someone you love dies. It will not only comfort you but also give you the strength to move on in life. Use this template for prayer requests. Prayers can comfort a mourning soul. Regardless of how painful the death of a loved one may be, prayers can always comfort you. You can use this template to request special prayers from friends. 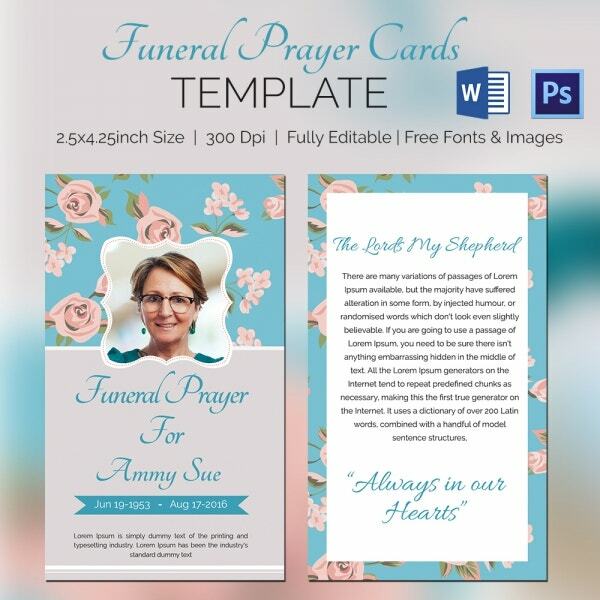 > Who can use the Funeral Prayer Card Templates? Funeral Prayer Cards are for those families that would like to request for prayers from friend, colleagues, and families. It is important to understand that the prayer requests made to these people are usually different. However, sometimes the prayers possess similar aspects. For example, all prayer requests sent by the bereaved to friends often ask for Godly strength during the tough moments of the death of a loved one. It is unlikely for prayer requests to come from anyone other than family members, so this template is exclusively for family members only. > What are the Benefits of the Templates? More than 2 billion people on earth pray and put more value in prayers and supplications, during good and bad times. The funeral prayer cards are therefore for families that would like to request for prayers from friends, colleagues, and other family members. The template is of great essence in the sense that it can draw the interest of the recipient immediately. The prayer requests written on these cards almost always trigger a positive, call-to-action response from those who receive them. When you issue these cards, you can be sure that whoever receives a copy will definitely pray for you. The purpose of a bookmark has always been the same: to write and share a unique and short message. That means the message you will be writing on the memorial bookmark will have to be short, concise, and to the point. 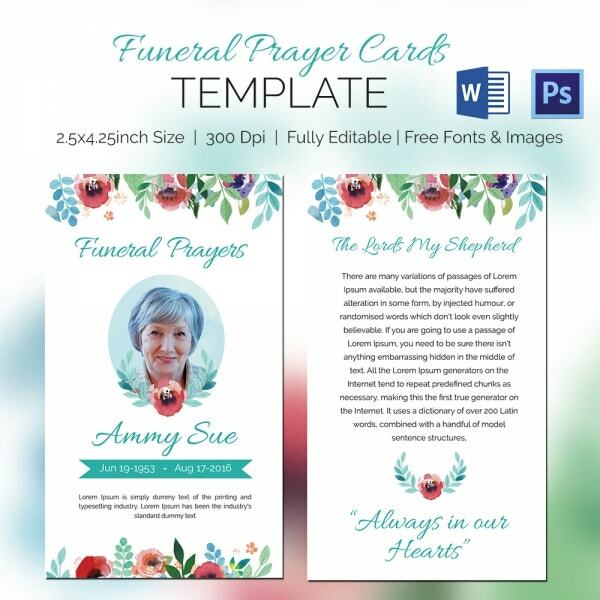 This category of templates is best for those who would like to keep the memories of their loved ones for a little longer.